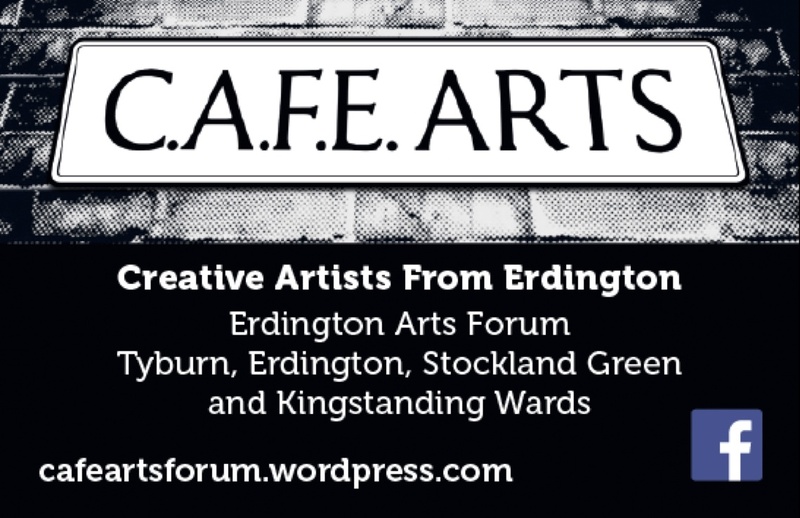 Welcome to CAFE Arts, the Arts Forum for Erdington Constituency [Erdington, Castle Vale, Stockland Green, Perry Common, Kingstanding, Pype Hayes, Gravelly Hill]. gwaah… my eyes… this website… it only exists so we are eligible for a bit of funding, but we just don’t have the staff or volunteers to keep it updated. we’re genuinely about grassroots arts, and we’re really really really active every week, all year round, and there are loads of great people, and opportunities, for all ages! So please visit our Facebook, Twitter or Instagram to keep up to date with all that CAFE Arts is up to. Let’s get promoting more art in Erdington! We are a network of people, groups and organisations who love the arts and want to see it happen in our local area. Our aim is to promote artists, musicians and organisations that promote art and well-being. Cafe Arts is 1 of 10 Arts Fora in Birmingham, part of Number Eleven Arts.